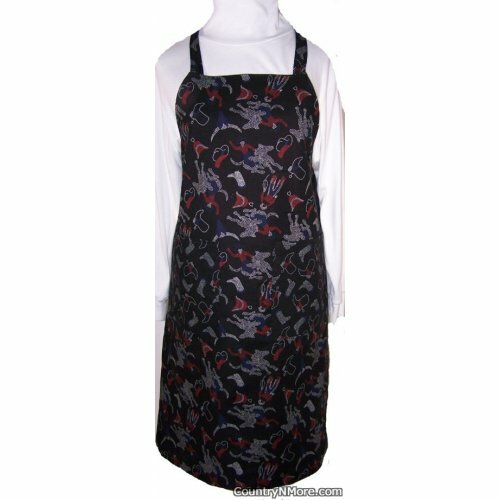 Here is another unique one-of-a-kind BBQ chef apron. The front has cowboys, bull head and horns, and cowboy boots. To really get the concept of how unique this fabric is, it is best to look at the close-up. The reverse side is made from another unique fabric. 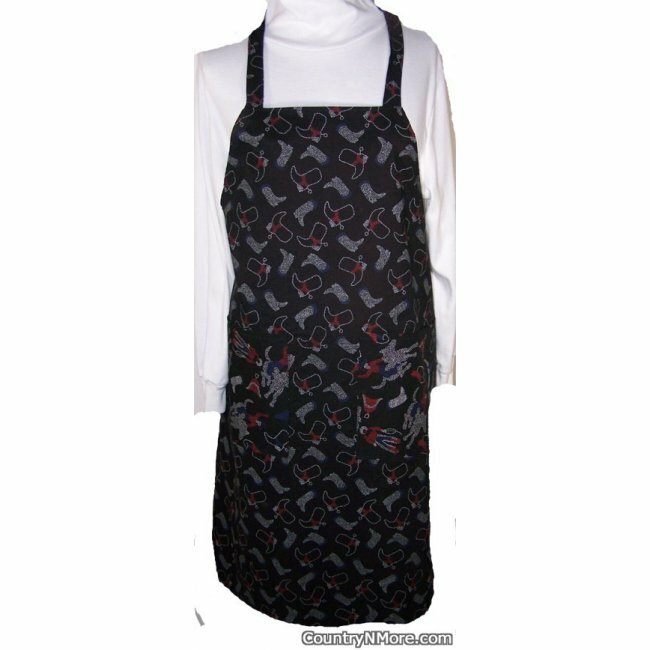 The barbecue chef apron has cowboy boots done in the same design as the front side of the apron. Waist ties adjust to your waist size. Perfect for 5' 6 inches and taller.